Dusty Bernier and Brian Huddleston grew up as close friends. They attended the same church, hung out together, even married sisters! Now in their early 30’s, their relationship has spanned many years. But then Dustin’s kidneys began to shut down, threatening his very life. When no matches could be found, Brian, on a whim, decided to see if he was compatible. And sure enough, he was! 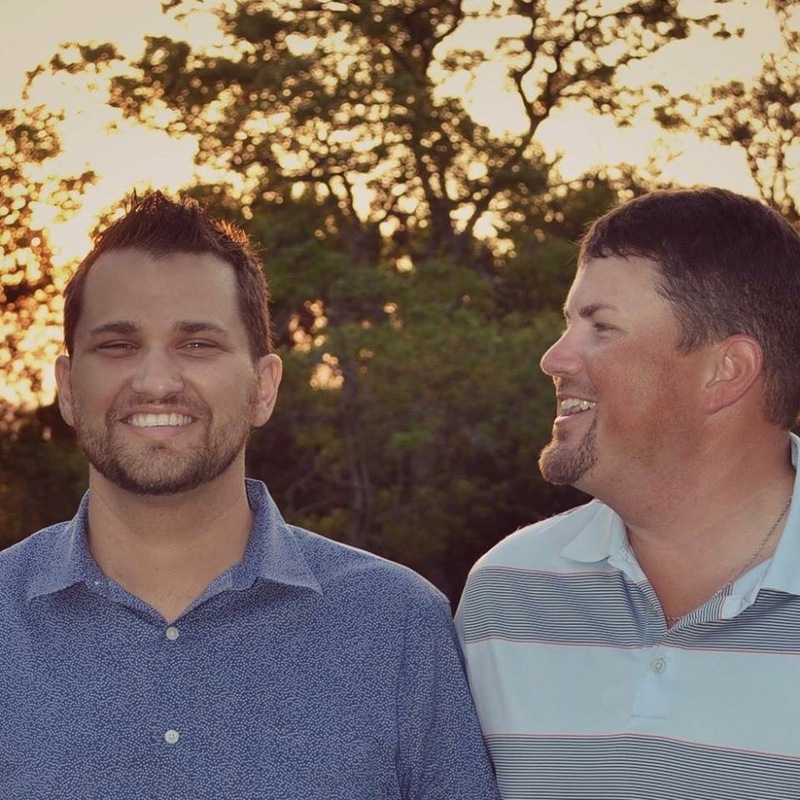 And so yesterday morning, at a hospital in San Antonio, Texas, Brian gave life and hope to his best friend, Dustin, by giving him a kidney. You could almost say that their relationship was made for just this moment! Decide today to be that kind of friend. Many will give to a certain point, but a true friend and brother/sister gives all that they have, all because of love. And say a special prayer for Dustin and Brian, that as they heal quickly, their lives and their story will continue to bless others! You are loved today! Love back! As of December 31st, the homeless shelter of Caring Ministries in Ft. Morgan, CO, will close its doors due to lack of funding. The same has already happened to the shelter at the Opportunity Shelter in Jackson, MS. 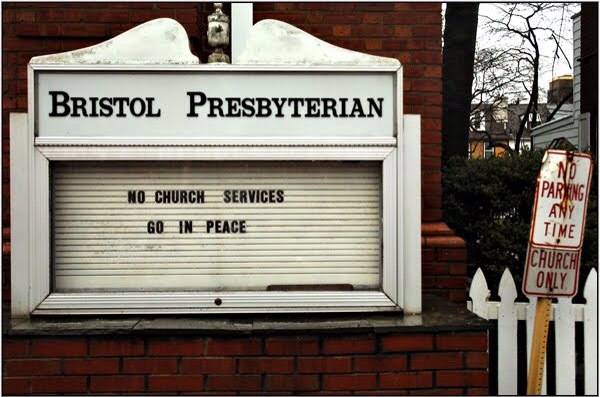 In fact, some 4,000 churches a year close their doors for the last time in America, with financial shortfalls being cited as the one of the chief culprits! And of the 1,000 that start up each year, only 20% will still be open in 5 years, largely because of the same issue. While there is bad stewardship in certain examples of ministry executives mishandling money and over-the-top salaries, this is by far a minority issue. Be faithful to give as God instructs you because souls are counting on it! Your giving to God’s work still changes lives! You are loved today! Andrew Carnegie, one of the first recognized philanthropists, is still one of the most generous to this day. Before he died in 1919, Carnegie gave away more than $350 million, which was the equivalent of more than $4.59 billion in 2014. Carnegie earned his fortune producing steel and later selling his company to become the richest man in the world at the time. His generosity funded universities, libraries, worker pensions and the arts, including New York’s Carnegie Hall. 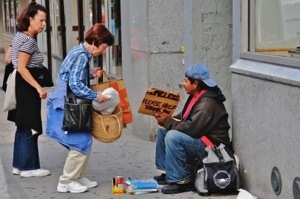 Generosity doesn’t come because we’re rich, but because we are willing. In my observation, those with the least tend to be the most generous. If we are faithful with the things God gives us, He then can trust us with more, knowing that if He asks us to give, we will. Generosity doesn’t always come easy. So ask God to help you to be. Don’t spend all that you have on yourself, but be ready to God His requirement (tithe), and one other need (offering). You will find that afterwards, you feel better than binge shopping! Being generous leaves the door open for blessings in return! 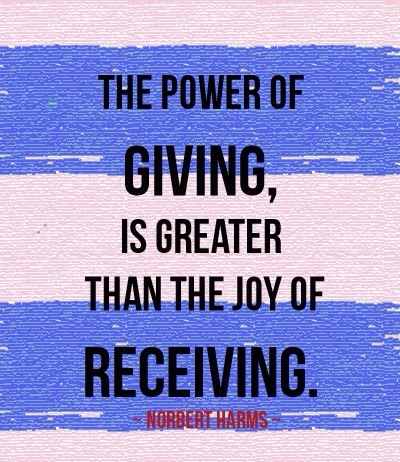 So be a giver! You are loved today! I’m always thrilled at Christmas time to see my people gather up presents for our local Angel Tree program, as we give needy kids presents at Christmastime. Beyond that, anytime there’s a fire, flood, tornado or death, our people rally together to meet the need. When times get tough, I watch with great satisfaction as I see God’s people sacrifice to help another thru a tight spot. Small Town America is a wonderful place to live! The Bible makes it very clear that our faith in God must give way towards Christian action. Anyone can talk about love, but the Christ Life is truly about sharing with others & being there for those in need. Loving God must translate to loving & serving others with grace & joy, not vague words & hollow promises. If we love God, it must manifest into serving others. Let God lead you to those that are waiting for your touch! You are loved today! Willadene Zedan, 85, is an absolute wonder. 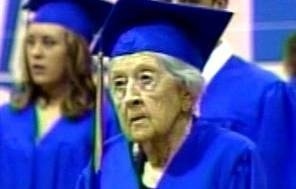 She has five children, 15 grandchildren and 26 great-grandchildren, but what she did not have until recently was a college degree. However, Willadene has proven that it is never too late for individuals to achieve their academic dreams. Paul was encouraging the people in that they already did so much, yet there was still more that each person could do. Willadene is proof that you can do more no matter the age. The reason we don’t, though, is b/c it cuts into our time or may cost too much. But if all our life belongs to God, then that includes our time, talents & treasures. All we have are excuses for telling God “No”, then ask Him for more for ourselves. When you think you can’t, know that you can. You’d be amazed what all you could do with God’s enabling & your sacrificing! Great things aren’t done accidently, but with purpose & intention. Do more for those that are still finding their way! You are loved today!